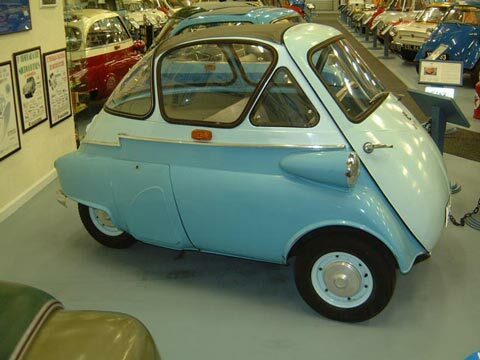 In October of 1954 BMW development engineer Eberhard Wolff was given the task of improving the Milanese Iso Isetta. As the body press tools were part of the licensing agreement, the exterior was not to be radically altered. The most important change was the engine, as the famed motorcycle firm did not want their new baby to inherit the two-stroke sound and trail blue smoke. This very original example of a "bubble Window", or "standard" model has an interesting early engine cover and multi-piece aluminum front bumper. Weight: 700 lbs Electrics: 12 v 4 Wheels: 4.40 x 10"